The 2017 Jaguar F-PACE is one of the most exciting and sophisticated sports cars of the year. See what it’s like to sit in one of these top-quality machines with this preview from Jaguar Annapolis. The 2017 Jaguar F-PACE features a cabin designed to combine the best of sportiness and elegance, creating a contemporary and timeless look that’s as sophisticated as you are. The clean, smooth design flows together in perfect harmony, from the minimalist gearshift that slides up out of the center console to the way the armrests sweep back against the door for a coordinated and geometrical look. 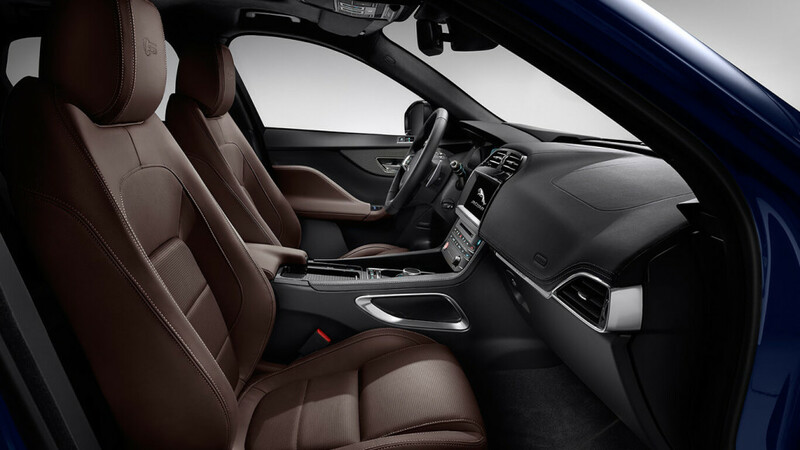 Soft-touch surfaces with premium leather give the Jaguar F-PACE’s interior a feeling of luxury, while the sophisticated finishes and metal accents gleam and glimmer in a cool and modern design. Classic sport gauges and coordinated colors finish off the luxurious look of your cabin. The 2017 Jaguar F-PACE seats you in comfort and style. Brogue brown perforated Taurus leather seats offer a buttery smooth and sophisticated seating option, while the Jet Red perforated Taurus leather sport seats include bolsters that cradle you even when you’re going around tricky or tight turns on the winding Baltimore highways. Eight-way power-adjustable front seats include four-way lumbar support to keep you back limber and comfortable even during long rides, while heated front and rear seats keep you and your passengers cozy. The backseat is roomy and spacious enough or three adults to sit side by side, with plenty of leg and knee room. You’ll even get dedicated pockets for smart phones and your personal gear! The 2017 Jaguar F-PACE includes plenty of features to make your drive around Arnold more comfortable and exciting. The panoramic sunroof opens up the cabin with just the touch of a button so you can enjoy the natural light and fresh air as you speed along the highway, while dual-zone automatic climate control keeps everyone comfortable no matter what the weather. The 2017 Jaguar F-PACE is packed with technology to keep you connected and in control. The InControl Touch electronics interface offers streaming media, apps, navigation and weather information, and more to keep you on track and engaged. The 11-speaker Meridian sound system offers premium sound for crystal-clear quality, while Bluetooth lets you place hands-free phone calls from your contacts book. A rearview camera, front and rear parking sensors, and a blind spot warning system keep you aware of your surroundings whether you’re cruising or backing into a tight parking sPACE. Automatic emergency braking and lane keep assist help you stay safe and on track. The 2017 Jaguar F-PACE isn’t just a speed demon designed for luxury. It’s also a capable sedan that can get you through your Washington DC day in style. The 40/20/40 split-folding rear seat can be folded individually or completely, offering 33.5 cubic feet of trunk sPACE when they’re all occupied or an impressive 63.5 cubic feet of cargo sPACE when all are folded flat. The load sPACE floor can be reversed quickly, going from luxury carpeting to a rubberized surface that’s easy to clean. The wide opening of the trunk and low loading height makes it easy to pack your trunk full of your gear. Are you ready to invest in the 2017 Jaguar F-PACE? 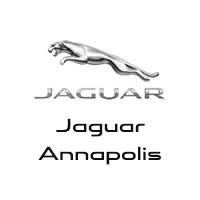 To take an exciting test drive with Jaguar Annapolis, call us today at (410) 904-3107 or come see us at 101 Ferguson Road, Annapolis.